Prithvi Haldea, an M.B.A. (1971) from BITS, Pilani, is the Founder-Chairman of PRIME Database Group. Between 1971 and 1988, he worked at senior positions in the corporate sector in the areas of exports, software, consulting, publishing, and advertising. He was also associated with the information industry and worked as a Consultant with The World Bank and with the U.S. Department of Commerce. Since 1989, when he created PRIME Database, he has innovated several databases on one hand and worked on investor education/protection on the other. Haldea is a Guest Faculty at various academic institutes. He has also addressed hundreds of conferences. As an investor protection activist and proponent of corporate governance, Haldea regularly raises issues with regulators and in the media. In the pursuit of this objective, he has also launched several unique websites which include www.watchoutinvestors.com, aggregating information on economic defaulters which now lists over 2,50,000 cases, www.primedirectors.com: a databank of professionals for listed companies to select independent directors, now hosting profiles of over 20,000 professionals, www.indianboards.com profiling directors of listed companies and www.msmementor.in, a national skills registry of professionals for the benefit of MSMEs. 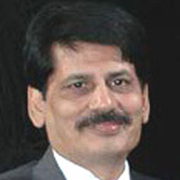 He had earlier designed and maintained www.directorsdatabase.com, covering detailed profiles of directors of Indian listed companies and www.iepf.gov.in, an investor education initiative in 11 languages. Haldea has also extended his skills of information management to other organizations, by creating www.bsepsu.com, a website dedicated to disinvestments, a new website www.divest.nic.in for the Department of Disinvestment, and the PE/VC Directory for the Indian Venture Capital Association. A lover of Urdu poetry, he is presently devoting a lot of his time to Ibaadat Foundation, which he founded for bringing poets and poetry back to life, through musical dramas. He is also the Founder-Advisor to Rekhta Foundation which has created the worlds largest website on Urdu poetry.